My first challenge was to find out what they were called! 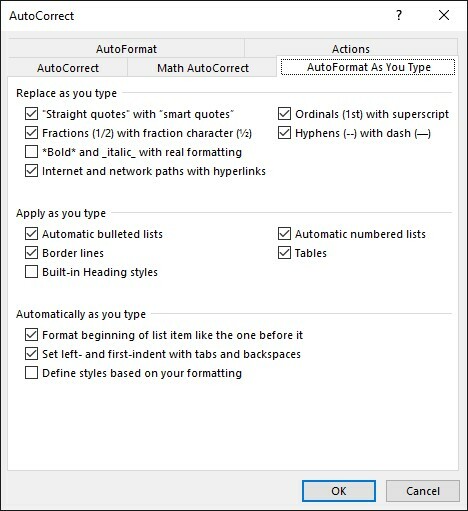 Word, uses the “Autoformat as you type” feature to automatically change it to superscript so the text is placed at the top of the line and the font size is reduced. However, this feature needs to be active. Click on the Proofing tab then AutoCorrect Options to display the dialogue box. Tick alongside the box “Ordinal (1st) with superscript” and click OK twice to return to the Word document. If you backspace to remove it and re-type again then it will only convert back to the normal font size when you press the spacebar. If the ordinal doesn’t covert then you can control it manually. Select the text and press the keys CTRL SHIFT = all together. 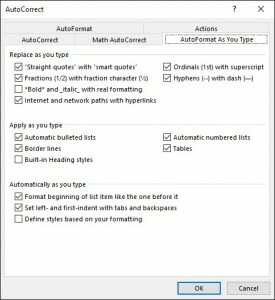 It will convert normal text to superscript or if you have selected the ordinal suffix it will convert it to the current font size and style in your document. These shortcut keys act like a toggle switch, converting text to superscript and removing it again. THANK YOU I would never have found that and it works!